Observation - Speckled Wood - UK and Ireland. 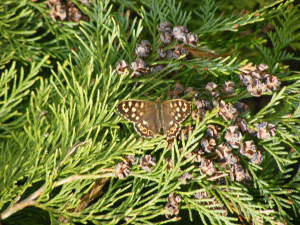 Description: Brown butterfly with pale yellow markings basking. Brown butterfly with pale yellow markings basking.